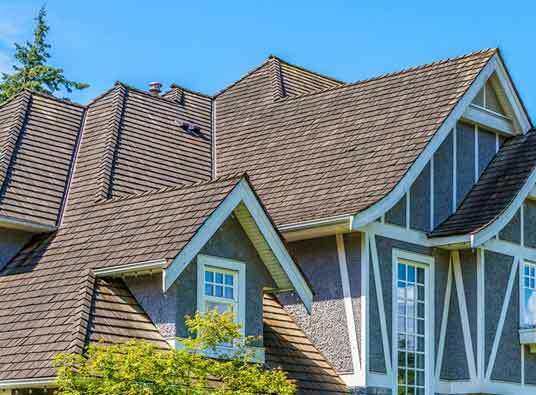 Every homeowner wants a great roof for their home. Ideally, their roof has to provide as many benefits as possible without costing a great fortune just to install and maintain. Beauty is nothing if it’s short-lived. A true quality roof comprises weather-resistant shingles that stay stunningly lovely for decades. Of all the top shingle manufacturers, IKO and Owens Corning lead the pack. Both brands offer collections of outstanding shingle products with high energy performance. No matter which you pick, you can expect layers of formidable defense against the rigors of nature. More than just the roofing system itself, the installers are actually the most important component. As every roof is only as good as its installers, you must pick a contractor certified by your chosen brand. Our team is one of the few roofing contractors in Michigan certified by both IKO and Owens Corning. Our certifications symbolize the trust these two trusted brands have in our quality of work. As all roofing manufacturers have strict standards when it comes to installing their products, a contractor has to go through the eye of the needle first to earn a single endorsement. In any case, you can be assured of the high level of competence our team brings to the table. We’ll make all the efforts to finish your replacement project in schedule and quickly overcome every challenge we may face along the way. Lastly, the greatest testimony of quality when it comes to roofing in Michigan is the guarantee. The length and scope of the guarantee speak of the level of shingle quality you can expect. As a certified contractor for IKO and Owens Corning, all of our comprehensive manufacturer’s warranties will be honored. In other words, your investment will be fully protected against manufacturing defects under the right conditions. Call Kroll Construction now at (888) 338-6340 for quality roofing solutions. We look forward to hearing from you.